5. Get an agreement for a lower payment in writing. When these tips for handling creditors aren’t effective at getting the calls to stop, it may be time to consider filing for bankruptcy. Contact Arthur Lindquist-Kleissler for more info. If you are able to get a creditor or collection agency to agree to a lower payment on your debt, make sure to specifically request the new agreed-upon amount in writing. Just because you get a verbal agreement over the phone, this won’t mean anything if creditors later decide to go back on their word. If, however, you have the new payment agreement in writing, you can ensure that the creditor will comply with the agreement and you won’t have problems down the line. 6. Figure out a plan for paying down your debt. If you are being contacted by more than one creditor or collection agency about outstanding debt, take some time to develop a repayment plan. Having a plan and being able to tell creditors this plan may be effective at stopping them from calling you, especially if you are able to explain that you will be paying them regularly (and you are able to follow through with this plan). 7. 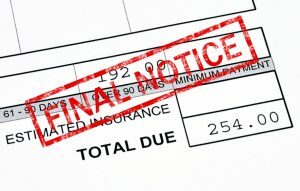 Consider whether you should file for bankruptcy. Obtain a financial fresh start. For more than 34 years, Mr. Lindquist-Kleissler and the other legal professionals at Lindquist-Kleissler & Company, LLC have been providing both individuals and businesses with the highest quality of legal services when it comes to debt relief and bankruptcy (including civil litigation matters associated with bankruptcy). From simple to complex bankruptcy cases, Mr. Lindquist-Kleissler can always be trusted to maximize utilization of Colorado Bankruptcy Law, guide his clients through bankruptcy, and help them resolve their case as efficiently and favorably as possible.